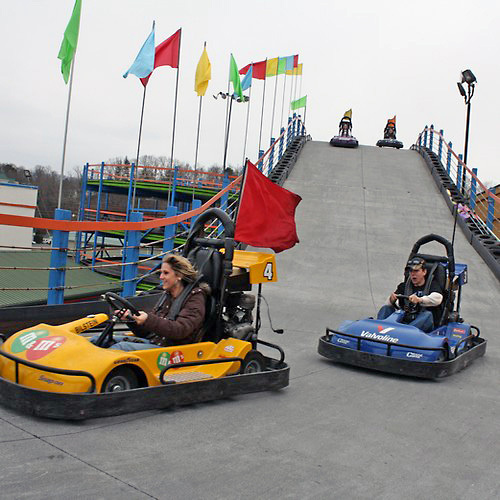 Lazerport Fun Center offers a fun roller coaster style Go Cart track experience the whole family can enjoy! 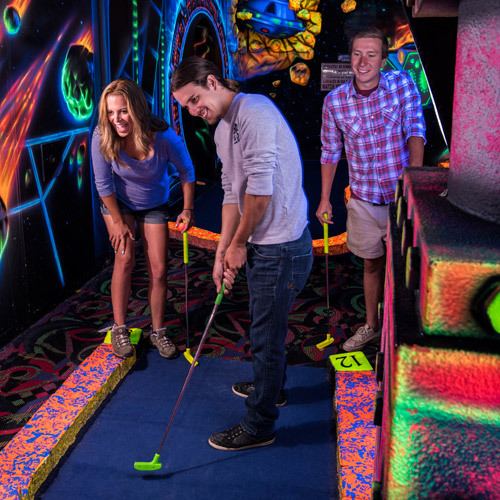 It also has the largest and most exciting laser tag arena in the Smokies, 18 holes of an all indoor blacklight Mini-Golf course, over 10,000 square feet of state-of-the-art video action and redemption arcade games. 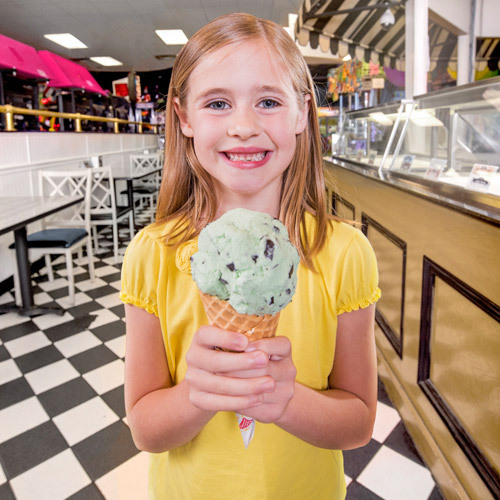 Enjoy a delicious creamy ice cream at the ice cream parlor Sweet Sensations! Sweet Sensations ice cream shoppe. 5-minute walk from The Island in Pigeon Forge. 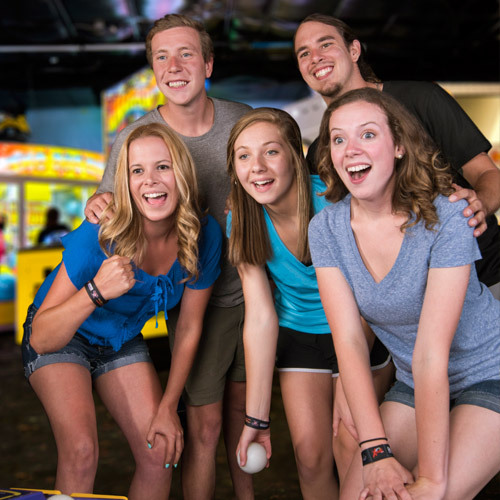 LazerPort Fun Center is the "can’t miss" destination for everything fun to do in the Smoky Mountains! 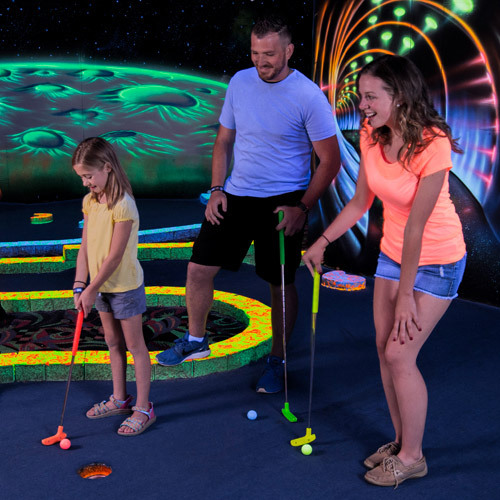 Offering everything from go karts and blacklight mini-golf to laser tag and an ice cream parlor, LazerPort offers fun for the whole family! How long does the Double Seater Go-Kart ride last? The ride lasts approximately 5 minutes. 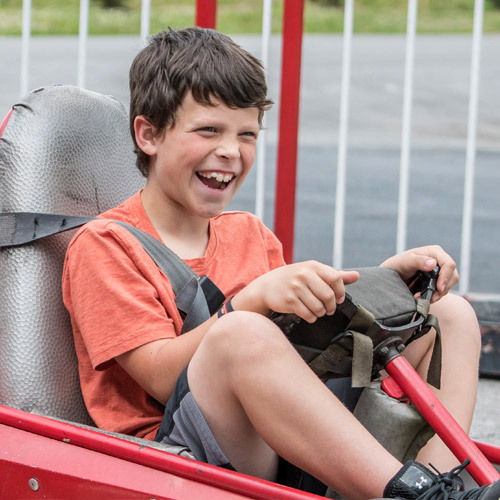 Do both people need a ticket to take advantage of the Double Seater Go-Kart ride, or is only one ticket needed? For the Double Seater Go-Kart ride, only one ticket is needed and two people can enjoy the fun. 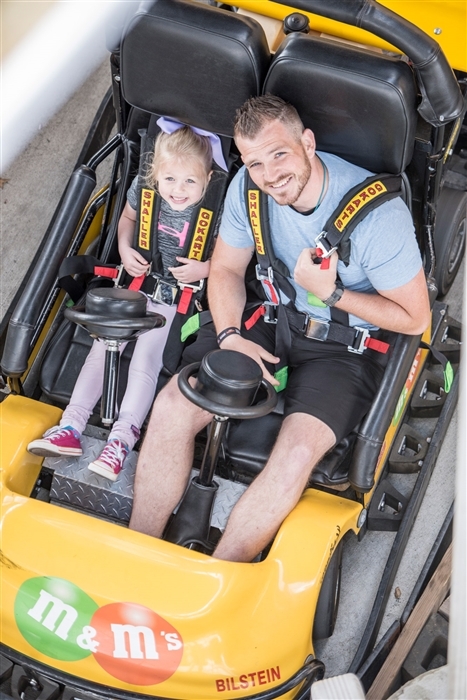 How old do you have to be to drive the Go-Karts? 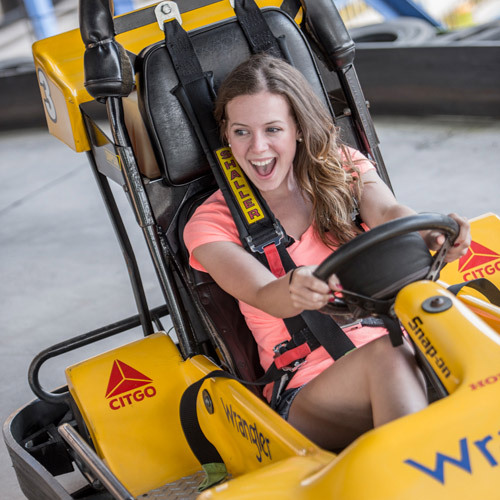 The requirement for the go carts is that each person driving must be no less than 4'8" tall. If you are going to be the driver in a two-seater go cart then you must be at least 16 years of age. These rules are strictly enforced to protect the safety of our guests. 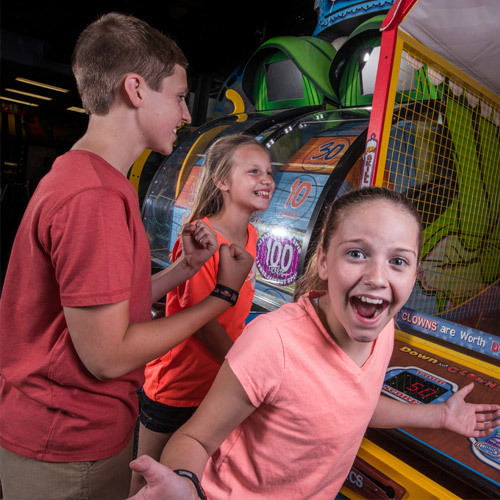 How long does a laser tag game last? The games of laser tag last about 15 minutes. There is also a "briefing session" before you play the game that takes about 5 minutes. 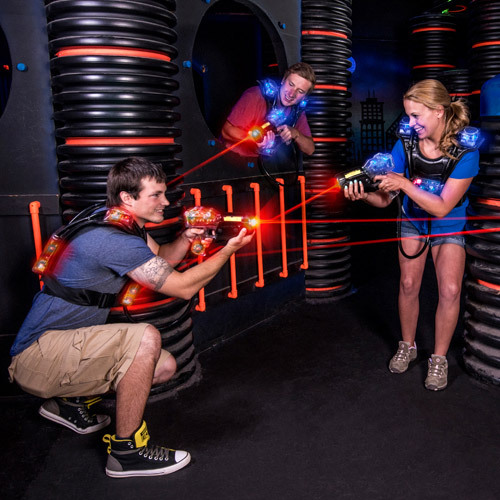 Do you have to have a reservation to play laser tag? No - We do not take reservations for laser tag games. We require that you sign in once you are ready to play. How many people are playing laser tag at one time? We take as many as 40 people and as little as 2 people in one single game. Can we play laser tag with only our group and nobody else? Normally, no - however on occasions exceptions might be made. We stay open until at least 12am every night. In our peak season there are many nights we are open until after 1am. We are located on the Parkway in Pigeon Forge directly in between traffic lights numbered 3 & 4. We sit directly across from The Comedy Barn.